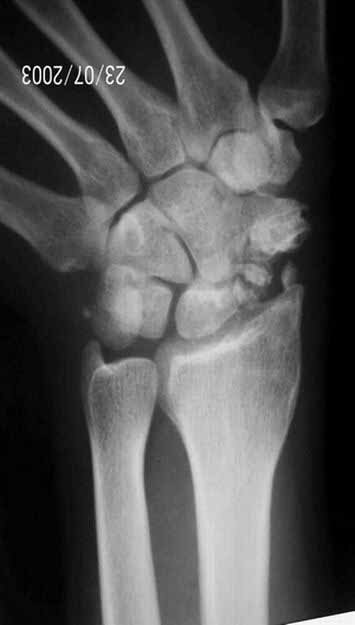 male 31y with old comminuted scaphoid fracture from 4y ago. From: Frederic B. Wilson, M.D. While I am no hand surgeon it strikes me that the long standing nature and the severity of the problem make a reconstruction problematic. 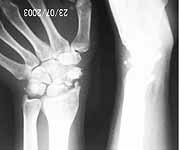 I would believe that a proximal row carpectomy would be the best option. 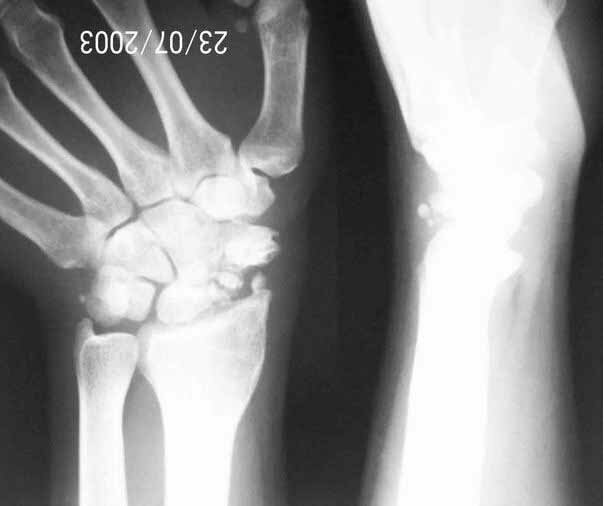 I would love to hear from our Hand Surgery colleagues on this one. Would vote for four corner fusion. Concern for PRC due to young age of patient and likely proximal capitate cartilage wear. Wrist fusion overkill at this time. Make sure to correct any lunate extension deformity (cannot make out on Lateral x-ray provided) and preserve relationship of the 4 bones (i.e. do not shorten the carpus when removing the cartilage).